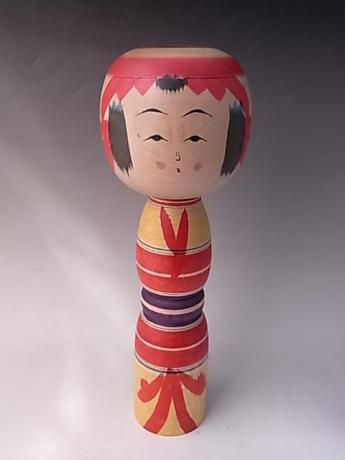 Japanese 20th century medium large KOKESHI doll. Signed by artist on base. 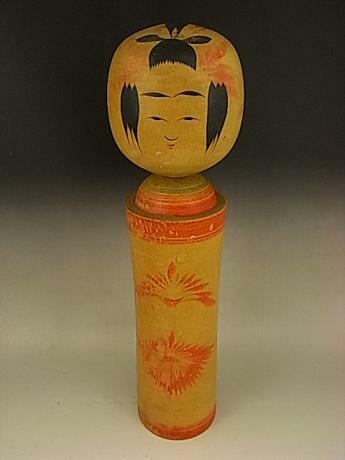 This doll stands 12" tall, with a head with a 3 1/2" diameter and a base with a 2 1/8" diameter. 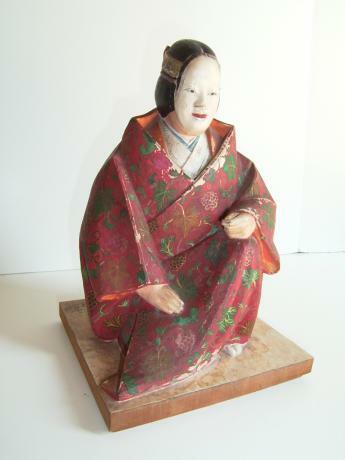 Japanese 20th century medium large KOKESHI doll. Signed by artist on base. 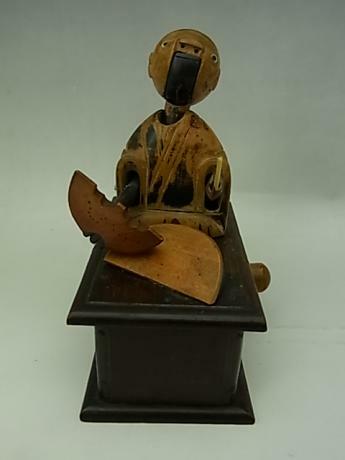 This doll stands 12 3/4" tall, with a head with a 4 1/4" diameter and a base with a 2 3/4" diameter. 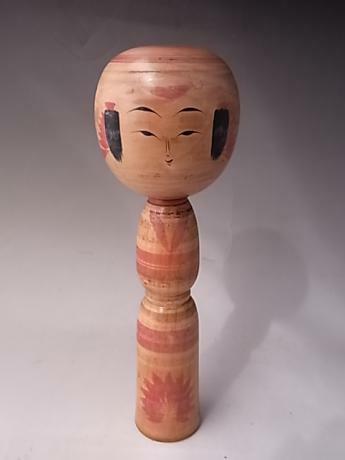 Japanese mid 20th century large KOKESHI doll. Signed by artist on base. This doll stands 14 1/4" tall, with a head with a 4" diameter and a base with a 2 1/4" diameter. 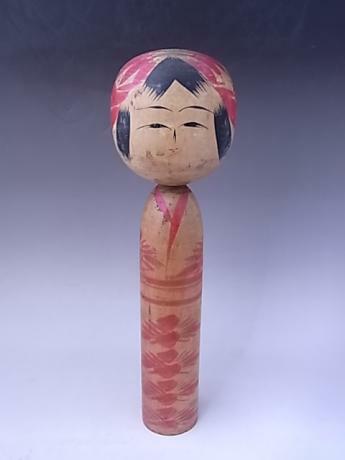 Japanese mid 20th century medium large KOKESHI doll. Signed by artist on base. 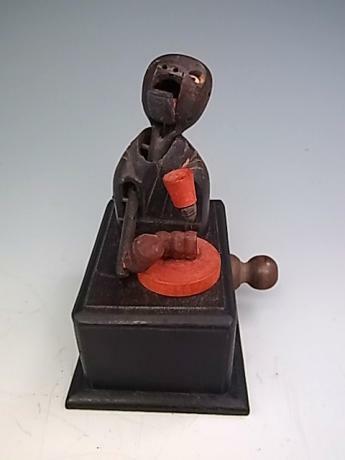 This doll stands 14 1/4" tall, with a head with a 3 1/2" diameter and a base with a 3 1/4" diameter. 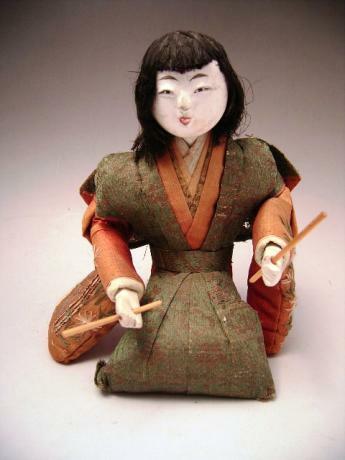 Japanese Late EDO Period musician doll. The doll is in the JIROZAEMON style. The face and hands are done with GOFUN, powder made from oyster shells. 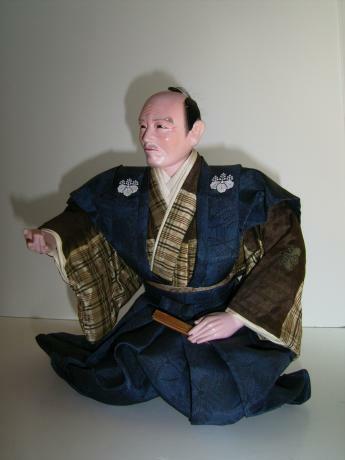 The doll has an eleborate KIMONO made of cloth. The doll measures 7 1/2" tall, 5 1/2" wide and 4" deep. 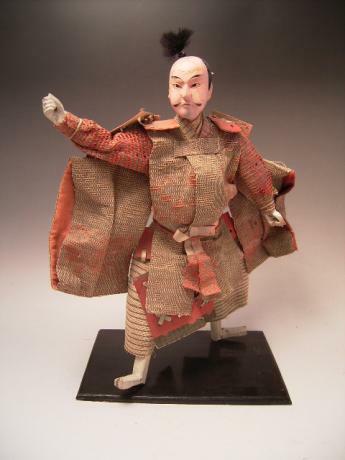 Japanese Meiji Period Samurai doll. The doll has GOFUN (powder made from oyster shells) head and hands, glass eyes, cloth and paper clothing. Great facial and body expression. The doll measures 12 1/2" tall and 10" wide.